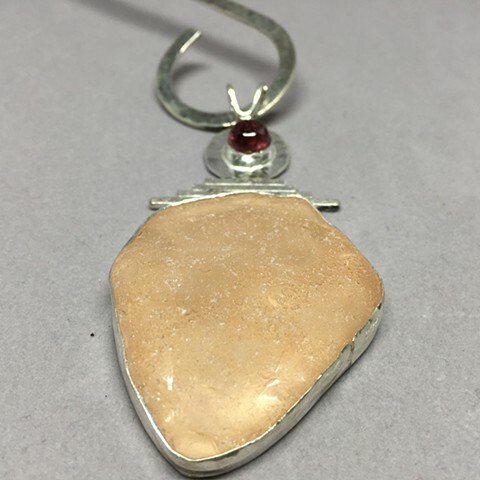 The color on the photo does not do this justice as the piece of seaglass is actually pinky/peachy. It's a very nice piece of seaglass set in handcrafted fine silver bezel adorned with a lovely large tourmaline stone. On a sterling silver collar.